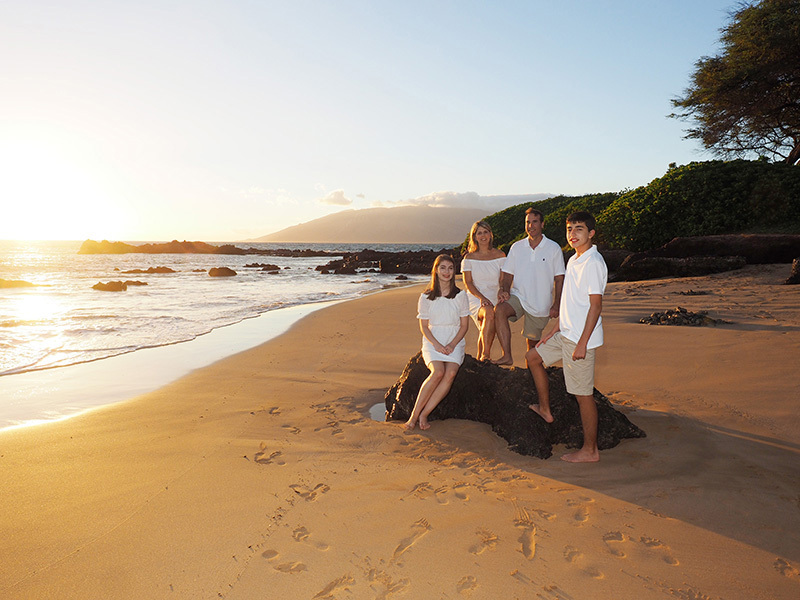 Yeah, hard to choose one family portrait image in a year of many stand out images in many collections of a Maui family portrait session. 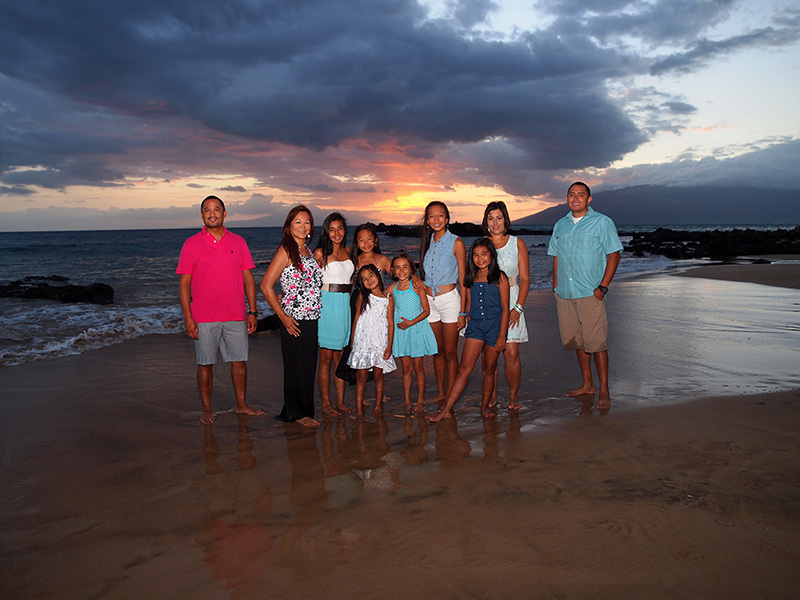 This image was actually two families, close friends, visiting Maui form the mainland. Everybody was happy, and the sunset sky was on fire. A lot of factors go into a good image; location, of course, attitude, apparel, stance, posture, gaze. But, what might make a good image a stand out image is the atmosphere of the location, which is often dependent upon weather and time. Half an hour earlier, or later, and this image may not have made the cut. If the clouds were more, or less, prevalent, it might not have made the cut. 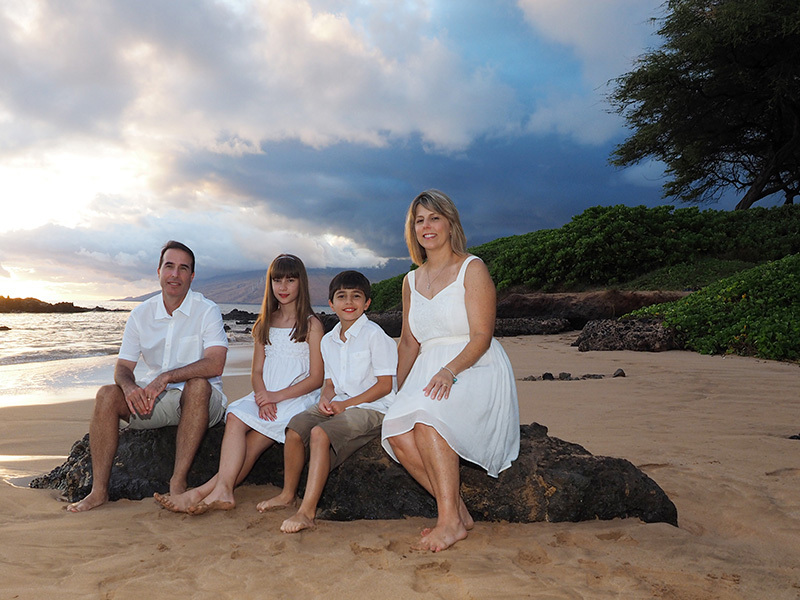 But, many of the factors were present, and so here we have 2013 Maui Family Portrait of the Year.